Steam and gas turbines have some of the highest incidences of varnish formation, leading to shutdowns and failure to starts. Below is a case study of a gas turbine with high varnish, leading to high bearing temperatures. – a clear sign of varnish contaminant. With Phenols completely depleted the Amine Anti-oxidant is no longer re-generated leading to accelerated anti-oxidant consumption during use. Offshore turbine was critical equipment to maintain platform operation. For a 2 year period (2010 – 2012) the thrust and journal bearing temperature differential had been 5°C. Over an 8 month period the temperature differential increased to 29°C, resulting in the turbine being stopped under the recommendation of OEM. Turbine OEM recommended turbine be returned for overhaul. Fluitec ESP136 (Ex Rated for gas environment) varnish filtration unit and Fluitec Boost VR (varnish removal) were used for 3 weeks while the turbine remained offline, soft contaminant was removed from the oil in the first two weeks, reducing the MPC Varnish Potential. With turbine online the ESP was run for another 3 weeks the thrust and journal bearing temperature differential had dropped by 50% to 14°C. 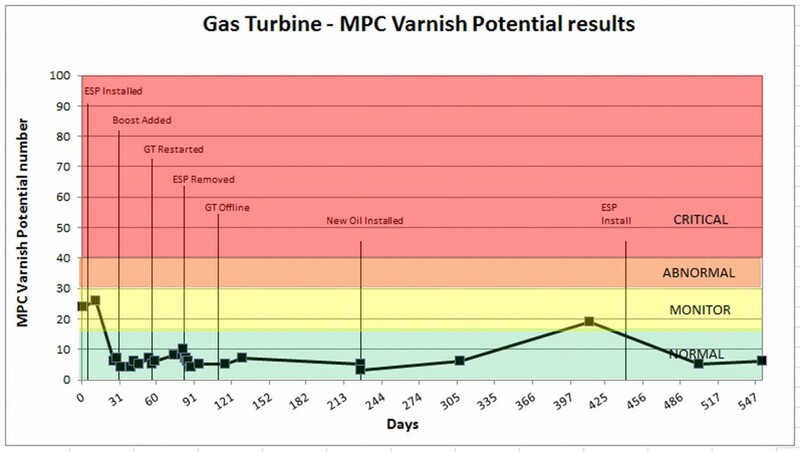 Following ESP removal from the turbine the MPC varnish Potential remained in the “Normal” range and eventually the oil was replaced in December 2014. These results meant the turbine was not removed and sent back to the OEM. 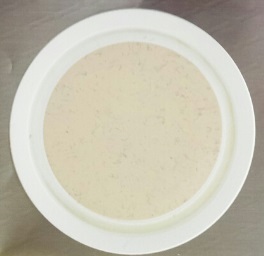 For steam turbine and gas turbines that are experiencing varnish formation, contact CTG to discuss MPC Oil Analysis and ESP varnish mitigation technologies. 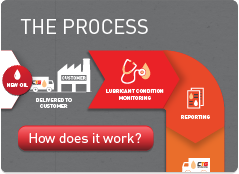 CTG offer MPC Oil Analysis to turbine operators and laboratories, as well as ESP unit sales and rentals should MPC varnish potential testing return a high result.